Debra Stephenson is one of the UK’s leading impressionists and actress. As a comedy impressionist, Debra is best known as star of BBC One’s The Impressions Show with her impressionists partner Jon Culshaw. Debra is also a member the award winning BBC Radio 4 comedy show ‘Dead Ringers’. Debra is also a member of the Newzoids impressionist team on ITV – a topical satirical puppet/CGI sketch show. Newzoids takes an irreverent look at the news poking fun at politicians, pop stars, sport stars and TV personalities while reviewing the issues for the day. As an actress Debra Stephenson has had long running roles in Coronation Street and Bad Girls. On stage, Debra’s ‘Night of One Hundred Voices’ tour sees her take on the personas of some of music’s most flamboyant characters and also recreating some of her favourite impressions from TV. 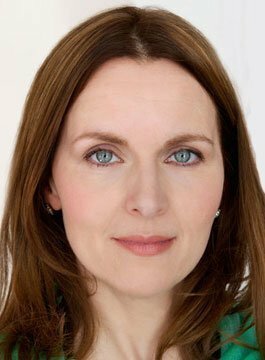 Debra Stephenson is an experienced and entertaining awards host and corporate performer.